(Reuters) – Movie audiences nowadays expect scenes of graphic violence in James Bond movies, unlike when Roger Moore played the super spy with a tongue-in-cheek humor, the actor believes. “I am happy to have done it, but I’m sad that it has turned so violent,” Moore said before “Quantum of Solace,” starring Daniel Craig as a darker Agent 007. Quantum Of Solace broke the British weekend box-office record with a gross of $25 million. Moore, 81, recalled being appalled at the violence in “A View to a Kill,” the 1985 movie which was the last of the seven in which he played Bond. “That wasn’t Bond,” he said. In his book, Moore writes of his distaste for guns, ever since he was shot in the leg by a friend with a BB gun as a teenager. 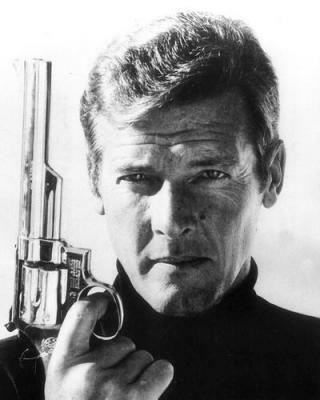 While making “The Man With the Golden Gun,” director Guy Hamilton wanted Bond to be tougher and had him threaten to break Maud Adams’ character’s arm to get information, he writes. 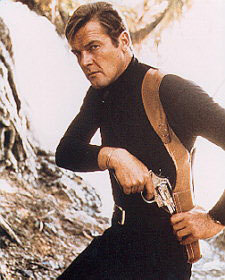 “That sort of characterization didn’t sit well with me, but Guy was keen to make my Bond a little more ruthless. “I suggested my Bond would have charmed the information out of her by bedding her first. My Bond was a lover and a giggler, but I went along with Guy,” the British actor wrote. Moore has not yet seen “Quantum of Solace,” but based on Craig’s first Bond film, “Casino Royale,” believes it will be a success in North America too. His memoir is full of anecdotes about Hollywood and the stars he worked with such as Vivien Leigh, Mae West and Lana Turner. He also tells of his bust-up with Grace Jones during the filming of “A View to a Kill,” when he forcibly pulled the plug on her stereo and flung a chair against the wall because she was playing loud rock music. The only child of a south London policeman, Moore also writes about growing up before and during World War Two, of evacuation to the country and air raids and getting — and being fired from — his first job with a cartoon film company. By the time he was called up, the war was over, but he served as an officer in Allied occupied Germany, where he ended up in the Army’s entertainment regiment. That was his entree into show business, along with his marriage to British singer Dorothy Squires.